Participate in organizing one of the largest Jewish events in San Diego history. Join us in the process of community-wide planning, helping to get other organizations to participate and individuals to volunteer. As a team, we will address many aspects event planning, including: marketing, fundraising, security, operation logistics, reservations, web site management, and the development and production of Shabbat materials. Help organize the community-wide Challah making extravaganza (Thursday, October 23rd), private home Shabbat dinners, and the closing community-wide Havdalah service and celebration. 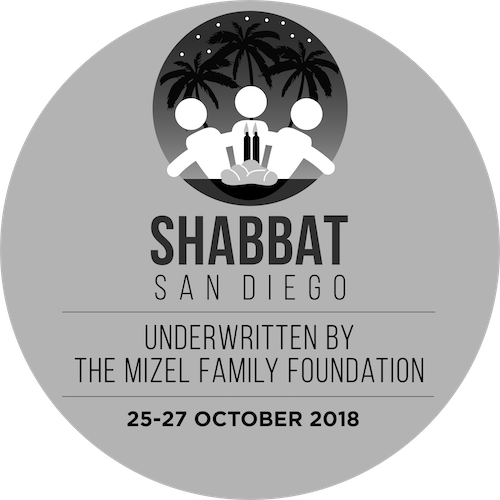 We are also requesting for organizations to appoint a “Shabbat San Diego Champion”, someone who is affiliated with your organization that can serve as a community communications contact and assist in your organization’s planning and Shabbat program implementation. To sign up, please visit our Sign Up page. Tell your friends, family and neighbors. Let's make this event an unforgettable experience! Enjoy all of the events. Attend services at your preferred participating synagogue or temple. All are welcome for this special Shabbat experience.